In mid-March, a leak suggested that Samsung's Galaxy J3 (2016) would be headed to AT&T. The carrier has now confirmed this to be the case, and has detailed both the cost and the release date of the budget device. The newer version of the Galaxy J3 has already been available for quite a while, with both Virgin and Boost Mobile having carried the handset since January. Announced prior to the new Galaxy J5 and J7, the J3 (2016) is a sturdy competitor even though it's not exactly blessed with strong hardware. Where budget devices used to scrimp beyond recognition, the Galaxy J3 isn't too bad at all. You get a 5-inch, 720 x 1280 display, a quad-core Snapdragon 410 chip, 1.5 GB of RAM and LTE support. 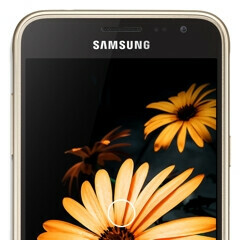 The 16 GB of in-built storage can be boosted by means of the microSD slot, and Samsung has equipped the back and front of the handset with respective 5 and 2-megapixel shooters. Meanwhile, the 2600 mAh battery should keep those lights on for a substantial length of time. The device will go on sale from May 6th at a cost of $5.67 per month, payable over 30 months through AT&T's Next 24 installment plan. Software-wise, the J3 gets the aging Android 5.1.1 Lollipop out of the box, though users can also reap the benefits of Samsung's baked-in KNOX security suite. Low-End Touchwiz Phones are terrible, just terrible... Galaxy Grand Prime, anyone? An S Class Phone can muscle its way out with a Snapdragon 8xx Series SoC or an Exynos with 3 Gigs of RAM... But even these beasts lag sometimes!!! But these little critters don't stand much of a chance... Pawns! On the contrary, my humble Dual Core Lumia 430 glides even on Windows 10...! I'd prefer a Nexus 5 (They're STILL available!) over this J3 any day, every day and... G'Day! You have ever even seen the J series phones? You seem to be stuck in the past man, in those days when Apple was the only smartphone post the mobile revolution that Nokia Symbian S60 phones created. Seriously pity you man. Grand Prime is HORRIBLE. J Series phones are a different story tho. Grand Prime is really horrible, I have used one for 3 months. J3 (2016) price should be lower than asking price. You know, most OEM's similar phones cost 1/2 of the Samsung phones. People will only buy this phone who doesn't have many other options available. Samsung still don't know why they are loosing in terms of profit. You mean cheap Chinese phones? Do you know that these companies like Xiaomi or Lenovo doesn't have any profit but loss from smartphones? i think this thing is going to sell alot. That's what people expect from samsung each year, especially from its low and mid range handsets. Wouldn't give heavy explanations, would just say that its handsets use the same old design language, laggy GUI, typical cameras and sound system. They have no differentiating factor or great marketing. People see such 'general' phones everywhere. What they ask for is a good value-to-money ratio, and respectable optimization of hardware and software with the phone. Samsung's low/mid tier handsets don't offer such optimization or special features. They are largely the same to most consumers, which is one of the main reasons why these won't sell really well.